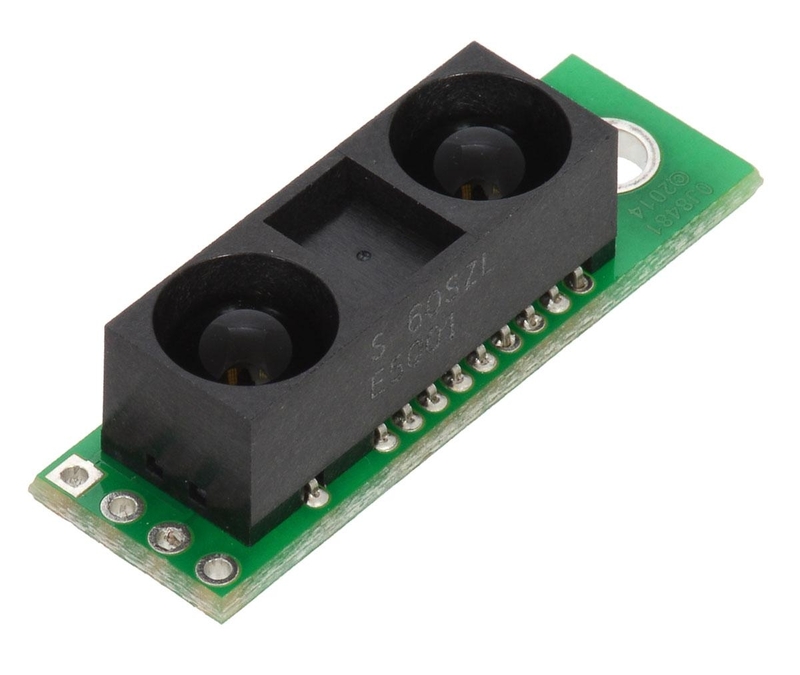 The GP2Y0A60SZ distance sensor from Sharp offers a wide detection range of 10 cm to 150 cm and a high update rate of 60 Hz. 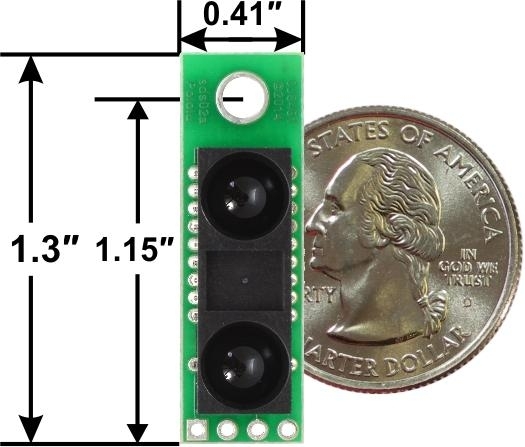 The distance is indicated by an analog voltage, so only a single analog input is required to interface with the module. 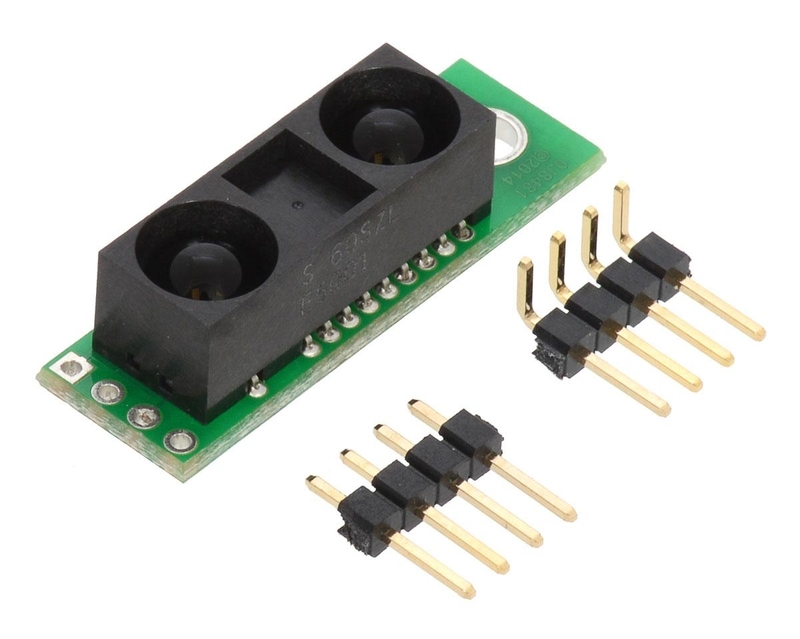 The sensor ships installed on our compact carrier board, which makes it easy to integrate this great sensor into your project, and is configured for 3V mode.